I frequently find questions related to medicare and medicaid a bit daunting. Maybe that's just me, but I was pleasantly surprised by the eMedNY (the New York State Medicaid program claims processing system and part of the NYS Department of Health) website. Particularly useful to businesses is the page on provider manuals. Using very pleasant-looking icons to represent a variety of services, you can "read about specific rules governing the provision of your care and service to Medicaid recipients. This section also contains billing instructions, as well as pertinent procedure codes and fee schedules." The number of small business loans outstanding under $100,000 increased 25 percent between June 2004 and June 2005, according to a report released by the Office of Advocacy of the U.S. Small Business Administration. The increase came mostly from credit card use by small business. The report also noted that the number of small business loans outstanding between $100,000 and $1 million increased 5 percent during the same period. The report, "Small Business and Micro Business Lending in the United States, for Data Years 2004-2005," uses both Consolidated Reports of Condition and Income (Call Reports) from June 2005 and Community Reinvestment Act (CRA) reports for 2004 to review small business lending activities by financial institutions. This year's edition expands to include savings banks, savings and loan institutions, and American Territories. The report also ranks lenders in each state by their small business lending activities, as well as ranking large national financial institutions. The report includes data on a complete ranking of lenders. "The Economic Role of Small Businesses Using Large Data Sets: An Analysis of the Contributions of Small Firms to Urban Growth," written by University of Houston researchers Steven Craig and Janet Kohlhase, with funding from the Office of Advocacy, examines the evolution of the urban economy into employment subcenters around the city. Among its findings, the report documents that the newer subcenters have been economically diverse, as most broad industrial classifications were well-represented in each subcenter. Moreover, the authors interpret their evidence to suggest that small firms are a crucial element in urban economic development as their success is likely to lead to economic growth for the entire local economy. To obtain a full copy of this report, visit here. For the research summary, visit here. Small businesses are defined as those businesses that employ fewer than 100 employees in New York. Small businesses in New York may be sole proprietorships, partnerships, limited liability companies and partnerships, general business corporations, subchapter S business corporations, or transportation, transmission, and utility companies. Data presented in this report includes employment and business receipts by entity type and employment class. 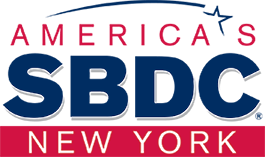 This edition of the Small Business Report provides data for New York State small businesses in tax year 2002. New York State Taxation and Finance Department has announced that businesspeople who file periodic sales tax returns, yet have no taxable sales to report, may now file online using a new electronic tax service. Their "No Sales Tax Due" online return they have called "an innovative service that allows taxpayers to file returns with the confidence that their personal and business information is secure. Since the service is offered electronically, taxpayers can use it at their convenience, any time of day. In addition, coding for the system helps ensure that filing errors, once common on paper returns, do not occur." To view the entire document and rates please visit here. Google has done a fair amount of work to upgrade blogs on Blogger.com. Visually, our blog doesn't look much different, but there are two changes in particular that will be very helpful to you. First, there's a search field on the top left of the page. You can now search for any postings from the RN blog since its inception in May 2005. In addition, we can now add keywords to every post, providing you with additional subject terms to help you when searching for any of our blog posts. Very cool. We're still investigating these new changes, and we'll tell you about any more tidbits that we find. Plan your space without the help of an interior designer or piano mover. Find Your Furniture Room Planner from the American Home Furnishings Alliance. Here's how it works: you pick a room (bedroom, office etc) and you can add furniture (beds, bookcases, plants etc) to it, resize and reposition everything. Put in windows and doors, and change the way they open. Add a rug, and put it at any angle. Locate the perfect spot for your fuzzy slippers. Basically, this is a must for anyone who likes to move around furniture, but doesn't have a team of burly furniture movers at their beck and call. Or not. In addition to dealing with permitted and prohibited items and lost luggage, there's the issue of flight delays. Flight Delay Information - Air Traffic Control System Command Center. AIRPORT STATUS INFORMATION: "The status information provided on this site indicates general airport conditions; it is not flight-specific." FlightStats.com. Tracks airport and airline delays. For instance, one could find, as the Wall Street Journal did last month, that AirTran Airways Flight 574 from Atlanta to Newark was on time only 26.4% of the time in November and December 2005, and only 11.1% during the first 26 days of November 2006. Likewise, American Airlines Flight 1914 from Chicago to Newark was on time only 35% of the time during the last two months of 2005, with an average 77-minute delay; in November 2006, the numbers were 14.3% on time and a 67-minute average delay. Registration is required for the site, but it's free. Also, as you may have heard, effective today, you'll need a passport to fly into Canada, Mexico and elsewhere. "This new site will be of interest to small business owners that are struggling with how to conduct, fund, and staff research and development projects. This may include CAD work, designing a circuit board, prototyping a plastic part or mechanical assembly, preforming high-end design analysis, conducting market research activities, etc. Not known to many is that there are thousands of university students that are looking for a project of a real world nature to work on. These students are bright and knowledgeable of the latest technologies in design and manufacturing. That is where freeRandD.com comes in. Our objective is to help bring together talented university students and industry." Their website allows businesses, government agencies, or nonprofit groups with R&D needs to post (for a small fee) the particulars about a specific project. It also allows university students to post a profile of themselves, including their specific talents. Obviously, it also provides a search mechanism for one side to find the other. I went to the website. Because it's so new, there aren't a lot of projects that have been posted by businesses. They're in that chicken-or-the-egg phase faced by websites that hope to provide a matching service (like, say, our new signage site [hint, hint]). They're all about marketing right now, which is why we got the letter in the first place. Keep it in mind should you have a client that might need some low-cost R&D. We have been trying to streamline our processes and use the tools we have, that perhaps we were not using to their full capability. More and more, we are trying to do things electronically. It has saved an enormous amount on postage, has made our processes more transparent and cut down on a lot of duplication of documentation. We understand using methods that feel safe and comfortable, and we still encourage the oldest of methods - a phone call- to get in touch with us, but we would request, that if you do prefer to send the written word, then please send it in an email to the RN address. It allows us to share the document between us, and it is instantaneous. Most faxes that we receive come through our individual fax numbers and are automatically converted into an email. Those that come through the main fax number: 518 443-5275 come through in paper only. Usually Cheryl will run the paper around to a researcher and then that person will have to retype the information into our database (and Amelia is prone to typos!) If it isn't too much trouble for you, send an email, and send it with a return receipt if you are afraid it won't reach us. It will take time to figure out all these processes. We appreciate your patience and help as we try to get you the information your clients need as quickly and efficiently as possible! To my mind what we all do here is communicate. As researchers, we specialize in guessing accurately how a journalist or research source uses words so that we can extract what we want. If we insist on using words that no-one else does - we won't find what we are searching for. Advisors communicate with clients to understand where they are, where they've been and where they are going. I'm sure if a client doesn't express adequately what they mean by something like "experience" for instance, it can mean the difference between getting a bank loan or not. 20 years in the business and a summer spent looking over someone's shoulder both could be expressed as "experience" and therefore knowledge. We share information. We with advisors in the field and advisors with clients. This is particularly difficult to do if we have information that is out-of-date or otherwise incorrect. I am frustrated by using tools that are developed and readily available that are largely ignored by those who are meant to be using them. We have an internal website that is meant to facilitate communication between staff here. Unfortunately it does not serve us as well as it could if everyone would only keep their files up-to-date. It amazes me to look someone up, find no pictures, no email address, and dubious other contact information. This tool should be perfect. It is supposed to be maintained by the individual so that information there is current. It takes about a minute to do. In order to send information through to advisors, we need to know where they are, how to reach them and so on. This is a simple thing. Please take a look at your internal website entry: is it current? If I send you an email at that address, will you get it TODAY? Do you still work at that office? Is that your correct title? Did you move? Can you be reached at that number? If someone is not sure who you are, could they look at a picture and discover that in fact - that is NOT you? The Reference and User Services Association (a section of the American Library Association) has a committee that creates a list of the best free reference Web sites each year. This list is then compiled and now the combined index of 1999-2006 is available here. There’s a little bit of everything : ranging from the AARP website to yourDictionary.com, with fun stuff like Download.com from CNET (Ooh! Free music!) and Big Charts (Ooh! Free historical stock prices!) in between. The list is alphabetical (not arranged by subject), so it’s kind of a gamble as to what you’ll find, but it’s definitely good browsing. Do Start-Ups Really Need Formal Business Plans? That's the question posed in the Wall Street Journal last week. The article by Kelly K. Spors, subtitled "Studies Find Often Time Wasted Gathering Data With No Link to Success", appeared in the January 9 edition, on page B-9. Amar Bhide, a Columbia University entrepreneurship professor, found that 41% of Inc. magazine's 1989 list of the 500 fastest-growing private firms didn't have business plans and 26% had only rudimentary plans. A follow-up by the magazine in 2002 found the numbers without a plan have remained pretty much the same. Many business concepts are "transitional in nature," meaning there are competitive advantages to starting the business quickly and by the time you write a full business plan "the opportunity will be gone." Scott Shane, a professor at Case Western Reserve University, says most studies that discount business-planning are flawed because they don't correct for business failure rates, only accounting for businesses that survived. If they did, they would find that a far greater number of businesses that failed never had a formal business plan. Mr. Shane's research, which relies on the same sample from Sweden as Mr. [Benson Honig]'s study, controls for failure rates and shows that businesses with formal plans are more likely to survive. He says most business ideas don't have to be rushed to market and that it typically takes a long time for businesses to get started anyway. "I'm not sure that saying, 'Oh, people shouldn't write business plans' would accelerate a lot more people into the start-up process," he says. "They seem to be held back by a lot of other things." "I'll have to confess, it's not always crucial to have the 60-page business plan" he says. While most entrepreneurs seeking should have their ideas well-formulated, "some people will get a little caught up in the perfection of their plan," he says. If you don't have access to the whole story, let me know, and I'll make it available to you. "Chapter One: You are a Business - Now Let's Get to Work! Whether or Not You Think You're a Business, You Are." Chapter 3 covers "Planning and Logistics: Why a Thrity-Minute Shoot Can Take Three Days to Plan." A chapter is dedicated to "Pricing Your Work to Stay in Business (containing very practical and real-world tips) and the next is on "Overhead: Why What You Charge a Client Must Be More Than You Paid for It." The author offers a little cold-water on what needs to be paid for in order to achieve long-lasting success. He covers insurance, retirement accounts, accounting and various contracts. Chapter 10 is entitled "Contracts for Editorial Clients including: ""We'll Send Along Some Paperwork": Why You Should Be the First to Send the Contract"
There is advice on negotiating and protecting one's work from infringement. Letter writing guidelines as well as how to handle working with attorneys are also covered. I think this is a good book for clients because it deals with all aspects of the business including balancing work and life, practical aspects of running a photography business, both the business and the process sides. The author is a seasoned pro with major clients and some sound advice for those trying to start their own business. This is a circulating library book if you are intrigued to look at it closely and wish to recommend it to a client.
. . . is another man’s resource. Most of us recycle in one way or another. But how about on a broader scale? Some companies and organizations are doing pretty neat things in order to re-use and recycle. Check out NY Wa$teMatch. According to this site, “NY Wa$teMatch provides reuse, recycling and other innovative waste solutions to boost your bottom line. We help our clients reduce disposal costs, generate revenue and obtain raw materials for free.” They offer a materials exchange service to match sources of waste product with organizations that can use it, as well as technical and research services to strengthen the reuse and recycling markets. Several people recommended Nielsen and one person mentioned Comscore. Comscore is the chief competitor of NetRatings. The Pew Internet & American Life Project was another recommended source. Cyber Alert was recommended as a good source for information on web analytics and definitions of web stats. ClickZ was recommended as a great source for the definition of a web user and related information & definitions. Also, remember the bad old days when someone was quick or smart enough to register a company name before that company did, forcing the latter to buy back its own name - at exorbitant rates - for the URL? I've gotten an occasional request to find out how to do that! Well, tell your clients this: DON'T. It's called cybersquatting, and there is federal legislation against it. Way back in August 2005, Roger posted a blog about "40 Government Sites You Can't Live Without". One of the 40 is Business.gov, which is managed by SBA in a partnership with 21 other Federal agencies. Back in October 2006, I read an e-mail about how SBA has overhauled this site, both in look and content. Rather than ramble on & on in this blog, click here to read what this site can do. If you've never used it before, it can be pretty handy, especially to the start-ups among our clientele, or for those interested in things like licensing & regulatory information. There are a couple things I want to clarify, just in case you happen to be the happy recipient of a question from the outside world. This feature generates several emails after the question is submitted. After the questioner chooses their county (and we’re coming up with a way to allow counties served by multiple centers to have an additional choice of center), they receive a confirmation email, I receive a copy of the question (as the webmaster), and the center receives the question. All of these emails come from an imaginary email address, Ask@nyssbdc.org. The email to the questioner specifies not to reply to this address, as it is imaginary and no one reads these messages. This bit of information is also important to the lucky advisor answering the question. Don’t reply to Ask@nyssbdc.org, reply to the questioner, whose email is listed within the body of the message. How you answer the question is up to you. You are more than welcome to share a few nifty bits of advice and invite the questioner to make an appointment at your center. Some of us also have a dream of creating our own collection of questions and answers that we could publish on the home page. Time will tell. Until then, thanks for your patience, ideas, and your mad question-answering skills. Happy 2007! The link will alert you to some interesting things coming up this year, not including New York State's raise in the minimum wage to $7.15 per hour. If I were a betting man, I'd guess that there will be a lot of calendars (paper and electronic) that will NOT reflect the change. I'm looking forward to the Millard Fillmore coin in 2010, myself. Incidentally, the death of Gerald Ford last month makes him eligible in 2016, whereas Jimmy Carter, at this writing, is not. Nor are the Bushes or Bill Clinton yet eligible for 2017. It's the New Year - time to take personal inventory, and to reassess the status quo. Personally, I'd like to drink less coffee in the coming year, but that afternoon cup from Dunkin Donuts really hits the spot. What can you live with? This article showcases results from a recent survey conducted by the Pew Research Center. It tries to measure how Americans view everyday consumer items (PCs, microwave ovens, etc.) - as a luxury, or a necessity? Oscar Wilde once wrote, "We live in an age when unecessary things are our only necessities." That "age" was the 1890s. I wonder what he'd say about the 2000s?